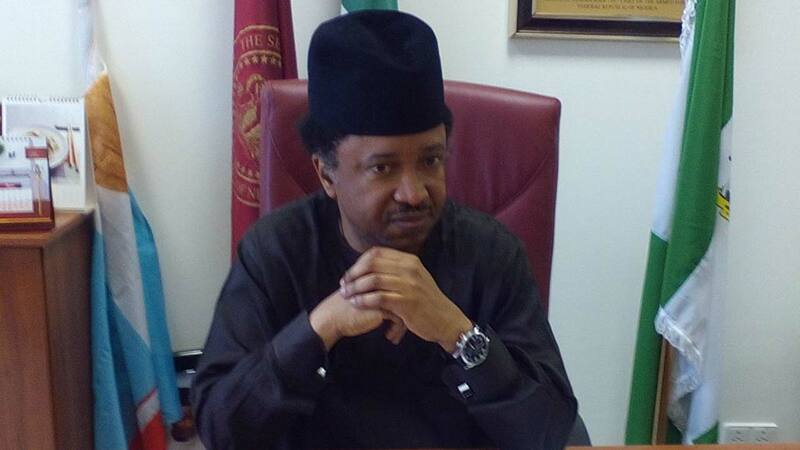 Human rights activist and senator representing Kaduna Central zone, Shehu Sani, has said President Muhammad Buhari and the ruling All Progressives Congress (APC) have lost the integrity that could make them victorious in next year’s general elections. Sani, however, warned the ruling party against any attempt to subvert the wishes of Nigerians during the elections to avoid plunging the country into crisis. Besides, he also directed his supporters and all the Peoples Redemption Party (PRP) stalwarts in Kaduna State to remove all his portraits carrying the images of Buhari from major roads and streets within his constituency, adding: “I am so happy with myself. The senator, who recently dumped the ruling party to join the PRP, following his inability to secure APC’s return ticket during the last primary elections, blamed the “dwindling” integrity image of Buhari for the various woes hunting the country. “First of all, anybody who says things are working right is only deceiving him/herself or trying to suppress the truth that cannot be suppressed. “There is no doubt that there are some achievements, in terms of completion of projects inherited and in the war against insurgency, but you can see for yourself that this country is more divided than before on ethno-religious lines and there is more nepotism in all ramifications. “Also, Nigerians don’t see the present leadership in the country as a unifying figure. Rather, they see it pursuing sectional agenda. “We have also seen a progressive decline in the sanctity of human lives and protection of fundamental rights of Nigerians under the present government. “There is also the rising level of intolerance and tyrannical behaviours under Buhari’s regime and the complete desecration of democratic values in which the APC government has descended into. He added: “So, what this administration has done is such that by its conduct and character, it has lost its goodwill and by its own division and divisiveness, it has empowered and energised the opposition, including the PDP that has been out of power for the past three years. The PDP is getting stronger and stronger, despite the blackmail and intimidation from the ruling party. Meanwhile, Sani denied authorising the production of a joint poster of Buhari and himself, which is currently circulating in Kaduna State. A press statement signed by his media aide, Abdulsamad Chima Amadi, stressed: “The new party the senator now belongs to, the PRP, has no presidential candidate in the elections, neither have they declared support for anyone. “My attention has been drawn to the existence of some political campaign materials having the pictures of Sani (PRP) and Buhari (APC) together. “The office of Sani wishes to inform the general public and at the same time make it categorically clear that we were not consulted, neither did we sanction the production of such political campaign materials. “Though we still hold Buhari and the office he occupies in very high esteem, however, it is a known fact that at the moment, our political party, the PRP, nether has a presidential candidate nor has the party adopted the presidential candidate of another political party.